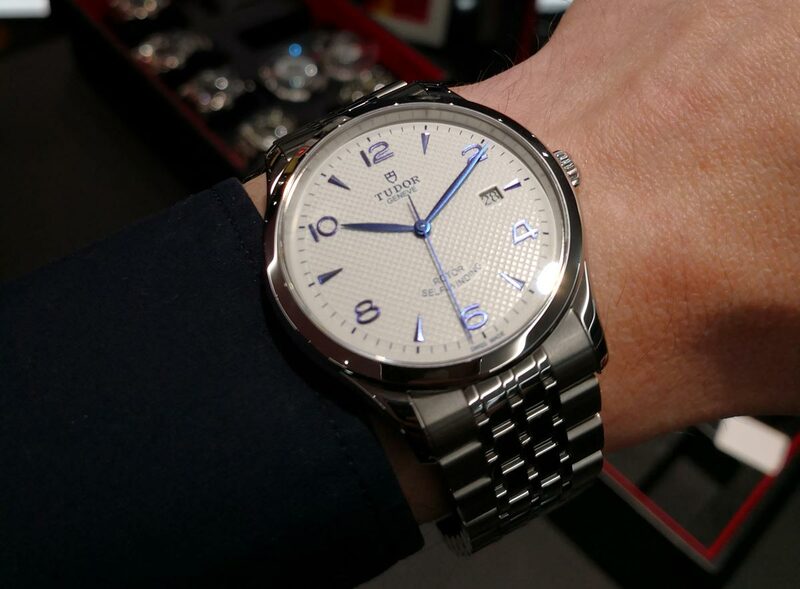 It’s fair to say Tudor seem to be enjoying themselves at this year’s Baselworld. The brand has rolled out a number of well-received additions to their Black Bay series, including updates to both the Fifty-Eight and S&G lines, as well as debuting their first ever GMT watch. But away from the robust tool-like models that have made Tudor a favorite among the world’s military forces, 2018 has also seen them introduce a new range of casually elegant dress watches aimed at both men and women, topped off with an extremely tempting price tag. The Tudor 1926 is a watch that points back to its predecessors. Taking its title from the year in which Rolex founder Hans Wilsdorf first registered the Tudor name, the 1926 line stands apart from the company’s Style range, but stays very much in the same spirit. Tudor’s overriding theme this year has seen them looking to the past to recapture some of the essence of their impressively rich heritage, and this new family has more than a few old-school touches. Nowhere is this more evident than in the finishing on the selection of dials. Amongst the huge number of pieces released into the lineup, 36 at the last count, the brand offers a choice of black, opaline or silver faces, either polished or with a machine-stamped ‘waffle’ pattern taken straight from their earliest days. Coupled with the subtle doming effect and matched with stylish sword hands, and the 1926s have a real vintage nostalgia to them. The range comes with Arabic numerals and the option of arrow-shaped indexes or diamond accents on the odd-numbers. All the watches in the series have a beautiful balance and remain highly legible due to strongly contrasting dial elements, particularly the opaline dials with their blue hands and hour markers. Even the date window at three o’clock doesn’t throw out the symmetry, thanks to the lack of Cyclops on its sapphire crystal. 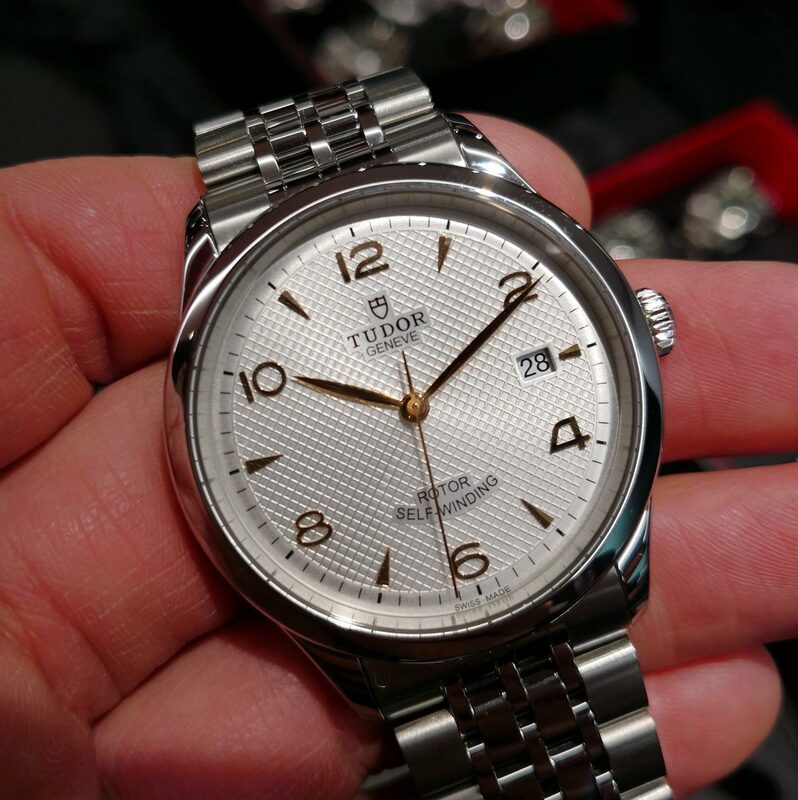 The Tudor 1926 is a dress watch and can be worn on any occasion. Underlining its true unisex appeal, the Tudor 1926 comes in four sizes; 28mm, 36mm, 39mm, and 41mm, so there is one to suit just about every wrist. The cases themselves, available in all steel or in two-tone steel and rose gold, have the sweeping lines and gently curved lugs of past generation Rolex, before the latest iterations bulked up and got themselves those broad shoulders. And, as befits a dress watch, none of the range has crown guards. Securing the watch is a Jubilee-style bracelet made up of seven links of varying sizes. A combination of polished inner and satin-brushed outer links, it closely bonds to the shape of the wearer’s wrist and comes in various styles to match the makeup of watch itself. 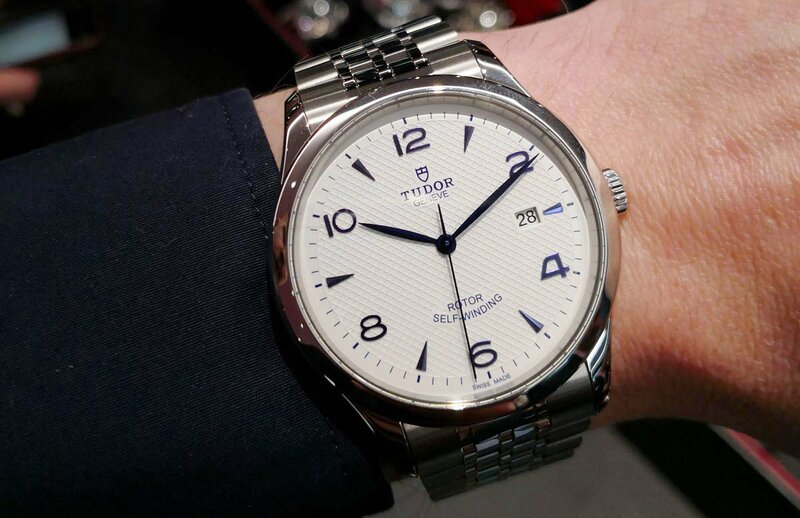 What are your thoughts on the Tudor 1926? Comment below. When Tudor was first formed, it was created to be the more utilitarian, lower cost alternative to the extreme luxury of its parent company. The most important difference between the two, and the reason Tudor was able to keep its prices down, was their use of third-party movements, specifically from Swiss ébauche manufacturer ETA. In very recent times, Tudor have made the move into producing their own calibers, significantly closing the gap between themselves and Rolex. For the 1926 line however, they have reverted back to using ETA movements once again—which is either good news or bad depending on your views on in-house versus ancillary mechanisms. One thing it is most definitely good news for is the bank balance, and this latest family represents a new entry-level point into the world of Tudor. The movement in the three larger sizes of the 1926 is the ETA 2824, an absolute workhorse of a caliber which has been providing perfectly robust and reliable service for a wide range of watchmakers since 1982. Running at the brand standard 28,800bph and with a 38-hour power reserve, it is as tough and accurate as a daily beater’s engine needs to be. For the 28mm model, the similarly spec’d but far smaller ETA 2671 ticks away inside. Both are automatic, bi-directional winding movements with a hacking function. With such a comprehensive set of styles to choose from, there is a Tudor 1926 that will appeal to most tastes. The 28mm two-tone, silver dial piece with diamond indexes is sophisticated enough for any company, while at the other end of the spectrum, the 39mm, all steel, black dial example has the look of a watch that could take some serious punishment, and bears more than a passing resemblance to the latest Explorer, but at a fraction of the cost. The Tudor brand has quietly been going from strength to strength recently, with ever more enthusiasts discovering both its current range as well as the highly collectible models on the vintage market. The quality of their output continues to impress and makes an increasingly viable alternative to you-know-who.